THE ARROGANCE OF IGNORANCE PART 2. By now everyone has read that Macy’s is closing up to 100 stores, 15% of their store network and laying off over 10,000 employees. Their stock is down 15% as of this writing, but they are not alone. Kohl’s Department stores stock is down 19%, and other retailers are all down 5%-10%+. Eddie Lacy, principal of Sears has loaned that retail disaster another and so on and so on… I’ll explain my thoughts on this in a minute. 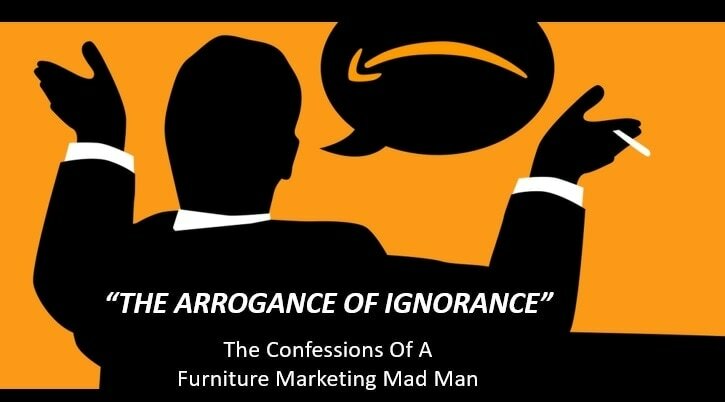 In July I wrote a blog; The Arrogance of Ignorance (http://www.social4retail.com/the-arrogance-of-ignorance) Lessons learned from Don Draper. The subject revolves around the definition of insanity…you know doing the same thing over and over and expecting a different result and remaining irrelevant through the process. ​Well, what do you know. The retailers mentioned above and countless other retailers and many in our industry are damned and determined to prove that theory false ... at all costs. I talked with an old friend the other day who is a Rep in the furniture business and asked him how his business was. He said it was pretty good, but qualified a lot of the uptick was due to online retailers …. SHOCKER! 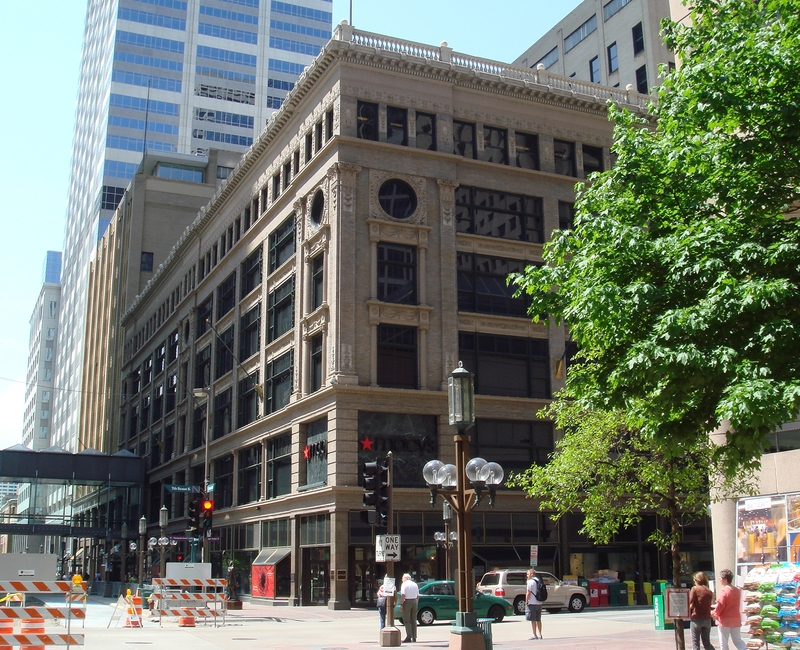 I grew up in St. Paul Minnesota where Dayton’s ruled the local and regional scene with their department stores. As a kid, they were magical during the Christmas Holidays; the displays, the 12th floor Christmas Land and more. As an adult, that’s where I shopped and most locals did for quality merchandise that was merchandised to us. Looking back 10 years ago when Macy’s bought out May’s, Federated, Dayton-Hudson and more. The thought was “centralization and economies of scale”. When I hear that phrase, I automatically think … “Pigs get fat, Hogs get slaughtered” and that’s what is happening with Macy’s, Kohl’s and shopping malls everywhere. I call it “The commoditization of everything”. ​I wrote about this in my blog, “What the election can teach marketers”. ​I BELIEVE THE ELECTION IS CAUSING CHAOS IN THE ADVERTISING AND MARKETING INDUSTRIES, WHY YOU ASK? ​I’LL WRITE AND YOU DECIDE. ​Macy’s was horribly late to the game as were other large B & M retailers especially furniture retailers…And Sears…who knows, do they even have a website? They just sold the Craftsman Brand to Black & Decker…what’s next…KitchenAid to G.E? The Limited Stores have abandoned the Twin Cities and many once iconic retailers are closing like those adjustable mortgages a few years ago that did such wonderful things for the economy. Originally, Macy’s, Target and others had Amazon host their websites. To me, that’s letting the wolves into the hen house. 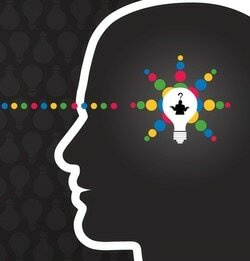 Amazon could see all the analytics and now what are they doing? They’re creating their own private label brands. Lessons learned, I think not. Shopping malls ... I wouldn’t buy stock in them. They are loaded with national retailers that are also fighting the definition of insanity … buying/merchandising from their crystal palaces and trying to force them on Peoria and every other mall in the universe. This coupled with the insane violence, fights and brawls at malls, why shop there when you can just point & click? Sure it’s easy to buy online and yes it will grow. BUT 85% of people still WANT TO BUY LOCAL, and they aren’t coming to your store because your marketing, advertising, merchandising, social engagement, purchase options and your website probably don’t even meet the definition of “Pedestrian”. If you missed any of the above 5 reasons why people aren’t engaging with your store ... you are irrelevant and you will disappear …probably sooner rather than later. AND I’m not just talking to retailers here, I’m especially speaking to the Manufacturer Brands too. When I mentioned “The Commoditization of Everything” it is so prevalent in my industry, home furnishings. In my industry when a furniture brand comes out with a winner, everyone knocks it off and the end result…..SAMENESS, commoditization, with all the manufacturers trying to sell the same look for less. I don’t see that in shoes for women, good lord how many shoes can one woman own…get my drift? ​“is an adjective describing a person in the state of being unaware and is often (incorrectly) used to describe individuals who deliberately ignore or disregard important information or facts. If you are a retailer, you must have an awesome website loaded with “EVERYTHING” you have open to buy from your suppliers, even if it means you have 100,000+ items on your platform. Why? Think about how many SKU’s Amazon, Wayfair, Overstock and other purely online retailers have? ​MILLIONS and MILLIONS of SKU’s, where consumers can find that Item, or shade of Lipstick that MARKS their style and speaks to them! Don’t do this and you will not only be irrelevant in local search, but in selling those “unique styles” that your consumers wants. ​Don’t show it and you won’t sell it, it’s that easy and Amazon, Wayfair and others will take your sale. SO WHATEVER YOU DO, DON’T LISTEN, DON’T READ AND UNDERSTAND WHAT’S HAPPENING AND WHATEVER YOU DO DON’T CHANGE AND LET THE DEFINITION OF IRRELEVANT PREVAIL...OR THE DEFINITION OF INSANITY.....YOUR CHOICE!